Study after study shows that patients want the option to see their doctor via video. But decisions about how to administer healthcare can’t be based on surveys alone. Every channel of healthcare delivery must meet a certain standard of care before it can be adopted. That means there are two core questions about telemedicine that need to be addressed. Do people want it and does it work? Fortunately, the data shows that telehealth can not only be as effective as in-person care, but that it actually contributes to better patient outcomes vs. the traditional approach. How could that be? Here are some specific reasons that using remote visits results in healthier patients. 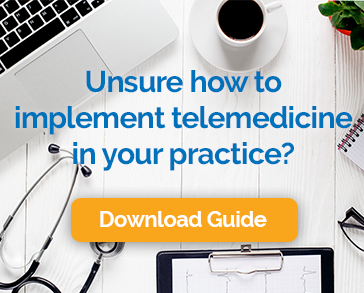 A telemedicine encounter eliminates all of the distractions of a busy medical office environment. The patient and the provider can focus on the present concern. A video chat is also a far more effective means of communication than the telephone. Many things can get in the way of getting in to see the doctor. Transportation can be expensive and time-consuming. It may be difficult or unaffordable to get time off from work. Many people have child or elder care responsibilities that are not easy to offload. All of these challenges may make someone less likely to make a needed appointment and more likely to cancel if they do. Another barrier to treatment is the lack of specialty providers, especially in rural or underserved areas. Telemedicine eliminates all of these barriers by making it easy for patients to get care from wherever they happen to be. The option of video visits makes it easier for the provider and patient to craft a comprehensive treatment plan that may address needs not always met in an office setting. Appointments can be made to discuss medication management or review test results. Lifestyle coaching can be part of the plan for patients working to manage their weight or stop smoking. Providers can take a more holistic approach to care without a negative impact on office administration. Despite everyone’s best efforts, every time a person with a contagious illness goes to the doctor, there’s a risk that the illness will spread to others in the office. During a video visit, a contagious person can be assessed without exposing other patients or office staff to the ailment. Patients who don’t have a communicable condition also benefit by being seen remotely because they don’t come in contact with contagious people who must be seen in the office. We’ve talked about why telemedicine is effective at keeping people healthy, now let’s look at some specific examples of how it is employed. Following up after a visit for an acute condition is an important part of recovery in many situations. They give the provider the chance to verify that the diagnosis was correct and that the treatment plan is working. They also give patients the opportunity to voice any concerns or report new or worsening symptoms. Unfortunately, all of the barriers to treatment that we mentioned earlier often keep people from following through with follow up. That’s why telemedicine has become a popular alternative to office visits for follow-up care. It is not uncommon for the results of diagnostic imaging or laboratory tests to be shared via the telephone. But it is much more effective to review this important information face-to-face. That way the physician can be sure that the patient is understanding the information and reacting in an expected manner. Telemedicine is a much more effective way to share this data, and as a bonus, it is often reimbursable for the provider. Millions of Americans suffer from one or more chronic condition. Managing them can be a burden for patients and providers alike. Eliminating the need for every encounter to involve an office visit eases the load and allows for more frequent monitoring and greater compliance with the treatment plan. Keeping people who have recently left the hospital from going back in is a major goal for both patients and providers. A video visit is a great way to check on a patient who is still recovering from a surgery or hospitalization without making them physically come to the office. Depression and other chronic mental health issues are increasingly common. The effectiveness of telemedicine for the treatment of such disorders has been found to be the same as in-person treatment. Patients love it because it is convenient and private. It is also one way to solve the growing shortage of credentialed providers. It is important to monitor patients who are on medications, especially long-term treatment, but it may not seem worth an office visit, especially if everything seems to be going well. A quick video check-in is the perfect way to ensure that the treatment is effective and that any side-effects are under control. Telehealth has a huge role to play in the future of medicine. Patients get both convenience and improved health outcomes. Physicians gain flexibility, a new revenue source, and the satisfaction of helping their patients feel better. Telemedicine represents a net positive for the health system as a whole.